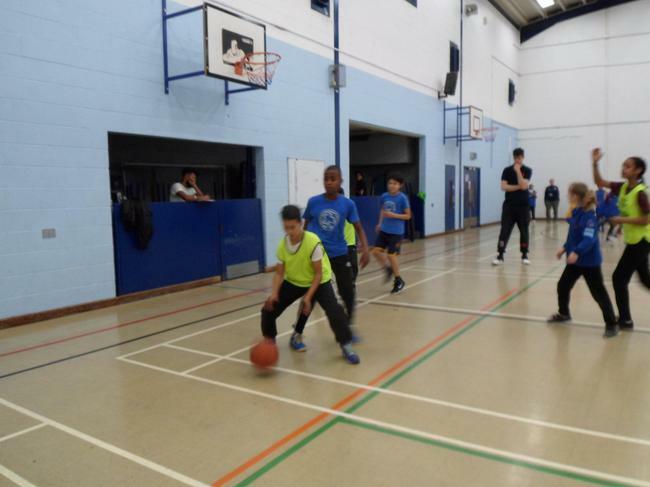 We had a series of 3v3 quarter court games at Featherstone high school. In total there were 11 teams. The first game we had was against Three Bridges. We had a lead from the start, kept it all the way through and we won 8-4. Our points were made up of 3 layups and 2 jump shots. The next game we played was against St Marks and we won easy 8-0. Our points were made up by once again 3 layups and 2 jump shots. The following game against Featherstone was closer than usual but we still beat them 6-2. The other team played really well but not well enough. Our score was made up of 3 layups. Our 4th game was against North. We had a clear lead from the start and won 10-0. The North team played well but just didn't make any shots. We were undefeated going into the semi final against Little Ealing. They had a strong well practised team. We lost 5-2. We made 1 layup. 3rd and 4th Play off. The third and fourth game was against Three Bridges and we won 10-8. They led it from the start but we played back and won. At the end it was close and Three bridges was a hard competitior- but we won. We came 3rd Overall and through to the area Finals. 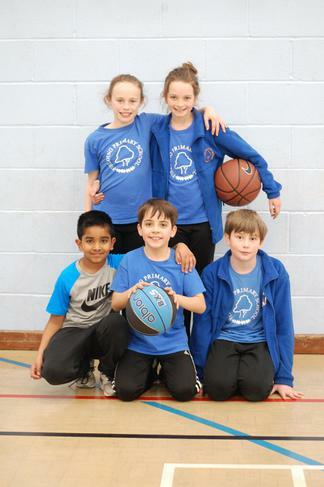 On Thursday 7th March, Fielding Basketball B Team participated in a Featherstone tournament. In our first match, we played Selbourne but, unfortunately, they won 2-0. In our second match of the competition, we played Berrymede, but we lost against them 2-0. Luckily, we drew 2-2 to Lady Margaret next, which we were pleased about, because it was an improvement. Because of this, we played them again and we drew 4-4 . We were quite pleased at this as it was quite a close match. In our next two games we won! First we played Featherstone 4-2 and then North Ealing 8-4. Overall, our team won in our group and in the B competition, we came second. We were all very pleased with this result. 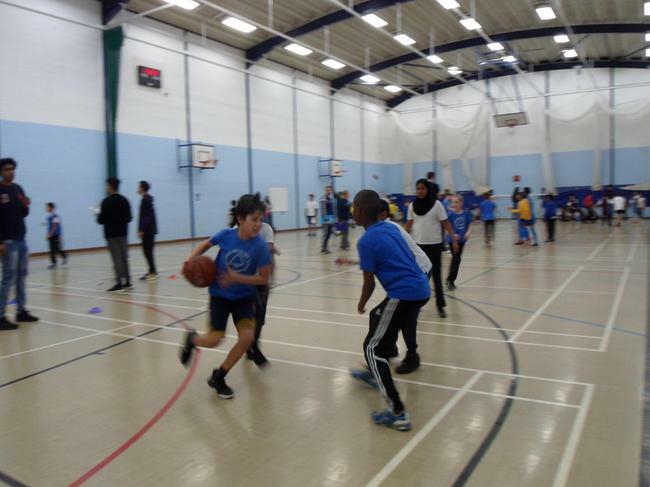 Today Fielding took 2 mixed basketball teams to Featherstone High School for this years 3v3 Basketball competition. Both teams were put into groups of 5, with top 2 progressing to the afternoon groups. Fielding B were on the court against Three Bridges A for their first game. Three Bridges normally put out very strong basketball teams so we were expecting a hard start to the day. The team worked very hard to earn themselves a 4-4 draw. Featherstone B were our second opponents of the day in a game where we unfortunately could not build on our good start and lost 6-4. Next up was Drayton Green A. We showed great resilience and perseverance in the game to beat a good team 1-0 for our first win. In our final group game we had an extremely hard game against Havelock A in which we lost 8-0. Our group results sadly weren't enough to see us through to the next round and so the B team were out. Fielding A had Blair Peach B in their first game of the day and got off to a flying start with a very impressive 8-0 win. Game 2 was against North A and produced another fine victory as we won by 12 points to 2. Fielding A were brimming with confidence going into their 3rd game against Tudor A. You could see the confidence building as we scored 6 times in the game to win 12-0. We went into our final group game knowing we had already done enough to qualify, but wanted to finish first to get a better draw in the next round. We had to get past Southfields B to make that happen. We did make that happen with an 8-2 win to qualify for the next round in 1st place. Fielding A were drawn in the afternoon groups alongside Featherston A, Three Bridges A, Berrymede A and Little Ealing B. First up was Featherstone A and again we were off to a good start with an 8-2 win. Three Bridges A provided us with a much tougher second game in the group as we had to battle for a 6-2 win to maintain our 100% record. As expected in the afternoon the groups, the games didn't get any easier as we again had to work extremely hard in our third game against Berrymede A for a 10-8 win. Finally we had Little Ealing B in the last game of the group. With only the winner of the group progressing to the final, it was important that we won again. We dealt with the pressure well and won 10-6 to go through to the competition final against Little Ealing A.
Twenty five teams entered in to today's competition and we were now down to the final 2. The game started at lightning pace as we found ourselves 2-0 down within seconds. Throughout the game we found ourselves battling back before going behind again and eventually lost 10-6. 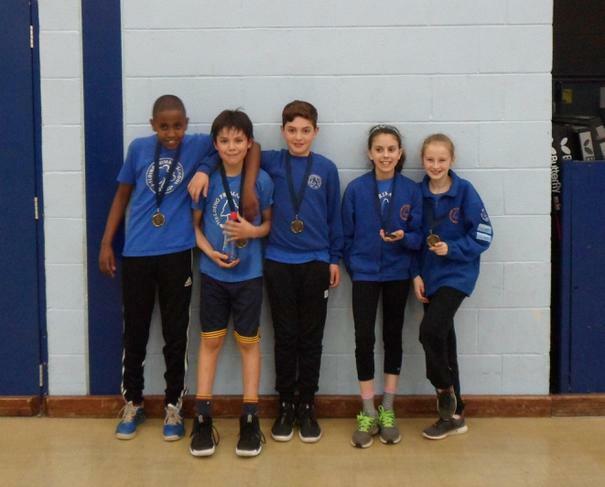 Congratulations to Little Ealing, but also a huge well done to Fielding A who also qualified for the area finals in a few weeks. Big well done to both of our teams today for representing the school so well. Following our success in the Featherstone basketball tournament last month Fielding traveled to Alec Reed Academy today for area finals. Ourselves and Three Bridges qualified from our side of the borough and St. Vincent's and Christ the Saviour from the other side. So just 3 games against 3 very good schools stood in our way of getting to the London Youth Games. Our first game was up against St. Vincent's in a fairly low scoring and very tight game. It was a tough start to the tournament but we prevailed and won the game 6-4. The second game of the day was against Three Bridges who we knew from the Featherstone tournament. They had a very good team and were well drilled but we beat them last month, and were confident that we would be able to again if we were on top of our game. A lot more points were scored in this game as both teams looked to be finding their feet more. The game finished 12-8 to Fielding. So after 2 games and 2 wins we were in an extremely good position to get to Crystal Palace but had 1 last hurdle to clear. Our final game was against Christ the Saviour, the team that won their competition to reach the area finals today. Again their was a lot of points scored, the game never looked won for either team until the final whistle. When the whistle blew after 10 hard minutes the score was 16-14....to Fielding!! We won 3 out of 3 and in doing so booked ourselves a place at the London Youth Games as the Borough of Ealing's sole representative in the competition. 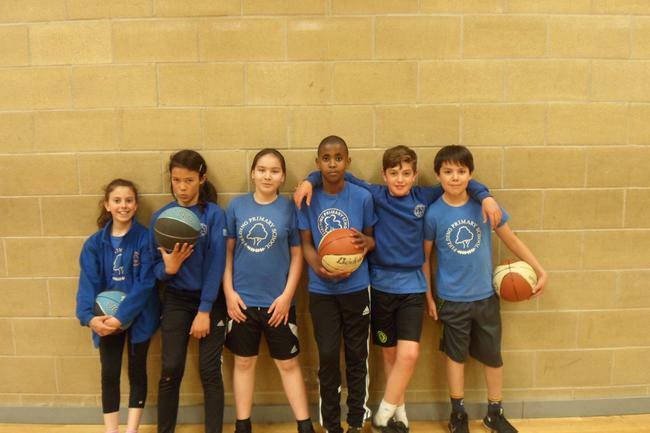 Fantastic result for the Fielding basketball team today and another chance for the school to compete against the best in London at the London Youth Games in Crystal Palace on July 6th 2017. We will see you there! Today Fielding took 2 basketball teams to Featherstone High School for this years tournament. 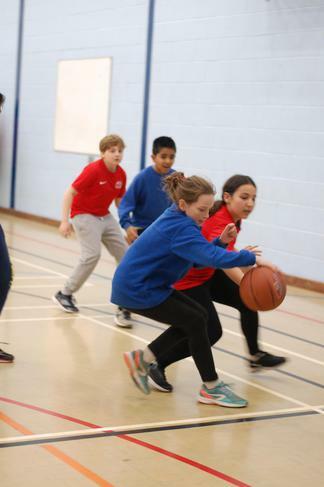 Both squads have been working hard at basketball club on a Tuesday after school and have even been putting in extra time on Wednesday mornings during squad training so we were about as prepared as we could be. Our B team was drawn into the plate competition where they had to navigate past 3 schools to get through to the knockout rounds. The first challenge was Berrymede B's in what was a hard start to the day. Even with captain Alec trying to drive us on we unfortunately started off with a 4-0 loss. Next up was the old firm rivalry. Little Ealing are always very good at basketball so we knew this would be a tough game to get our first win but we were optimistic. However, our optimism wasn't enough to get us a win as we lost our second game, this time 10-2. Our third and final game of the groups was against the eventual winners, Three Bridges B. All 5 of the squad performed with a great effort but it wasn't enough to get our first win. So after 3 games and 3 losses the B team's day was over. Our B team conducted themselves brilliant throughout the morning though and should be proud of their efforts. Well done. The A team was drawn in a group in the cup competition alongside 5 other schools. 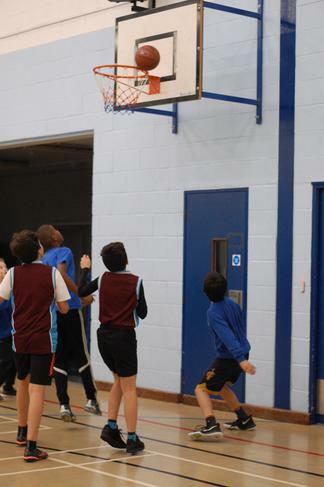 Our A's had Selbourne first and got off to an excellent starts as they scored 7 baskets to win 14-0. 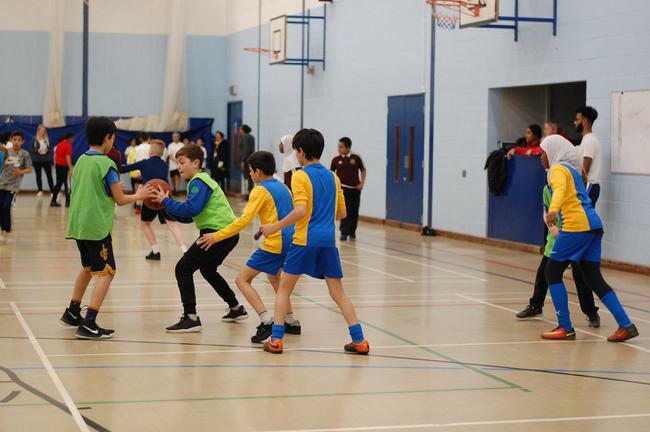 In our second game against Three Bridges we were expecting another tough game as the school has a very good basketball reputation but our guys stepped up to record win number 2 with an 8-2 win. Game number 3 was against Berrymede and once again our hard work in training was paying off as Oliver and Suleman combined well throughout the game to help us to a 9-2 win. Once again Fielding were drawn into a group with Little Ealing, this time we had to beat their A's. Again we knew they would be hard to beat after an amazing show at last years tournament where they had 1st, 2nd and 3rd. It was a closer game than last year but we still couldn't get the result we wanted as we lost 8-4. The final game in the group was against a Havelock team who possibly weren't playing to the best of their ability as we beat them 12-2. A fantastic team effort from Fielding ensured that we were through to the knockout stages. In the quarter finals we were drawn with Featherstone. Fielding played a blinder of a game as they progressed through to the semi finals with a very comfortable 20-0 win. Going into the semi finals we were now feeling confident no matter who we had to play and it turned out we had Berrymede who we had already beaten in the groups. We went one better in the semi final against them as we stopped them for scoring at all while getting 4 baskets of our own to win 8-0 and get a place in the final. Another team from our group had made it to the final, Three Bridges who we also beat in the groups. Past results mean very little in finals though so we put that behind us and got our minds ready. We started extremely slow in this game and at half time the whistle blew at 6-0 to Three Bridges! We knew we could beat this team though and with some hard work in the second half we could still get the win. It was an unbelievable 2nd half as the whole team pulled together to claw their way back into the game and eventually go on to win 12-8. What a final game! So the A team finished the day as champions and now look forward to an area finals where the winners will get the chance to compete at the London Youth Games. Well done to both teams for displaying so many of our Fielding values today! 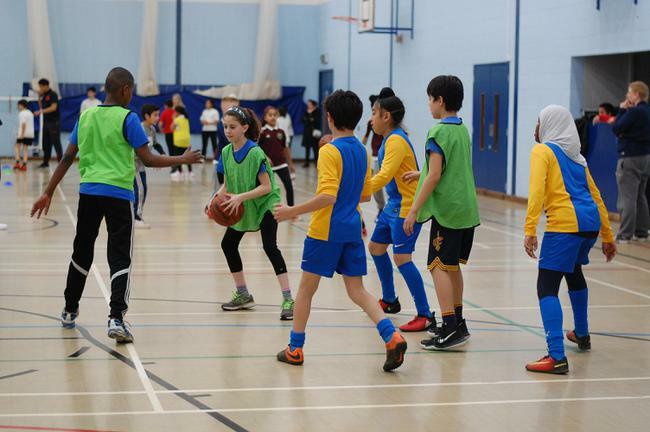 Six Fielding pupils attended a 3v3 basketball tournament today being held at Featherstone High School. 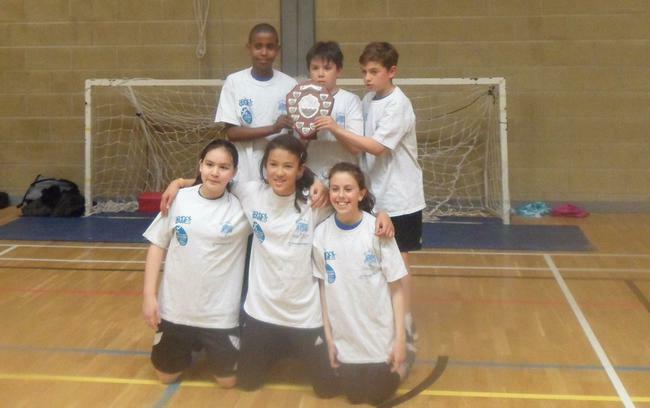 The small squad was made up of Marco, Kobi, Andrew, Lily, Athena and Isabel all from Year 6. Lots of schools signed up for the tournament all hoping to end the day with some pride and hopefully as winners. After a tough 7 games we ended up the day in the middle of the group with a mixture of wins and losses. The guys worked very hard in every game and should be very proud of their efforts. Well done Fielding Basketball!